a quicky wallpaper for all my friends!! Enjoy! Especially the part where you sit near the fireplace with friends or family and say old stories and bake chestnuts and apples and the weather outside is really stormy!! so this is gonna happen tomorrow when i will go to my village in north Greece. In 4-5 days i ll be back! Till then i wish you Merry Christmas and Happy Holidays !! now ill go and arrange my bag with stuff i m gonna take!! You might not really understand what I'm trying to say( we'll maybe you will) but I want you to know that you are a very talented artist, and I cannot get over how much I LOVE your artwork!!!!! You should be very proud of yourself because not very many people can produce such miraculous and magical artwork as well as you can!!!!!!! This is a very beautiful piece of art, and I really, REALLY, REALLY love it!!!!!!!!!!!!!!! Great job!!!!!!!!!!!!!!! 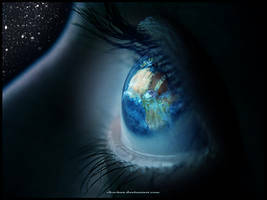 I see dreamy star light in your eyes , how did you add those reflections they are wondrous. wooooow the colors and detail in this are amazing! your photoes are AMAZING I TELL YOU AMAZING!~! WOW, some of the most stunning work I've seen here on Deviant. wow very beautiful and powerful! Your work is featured in my 'Stardust' article! omg EN TELEIOOOO!!!!! omg !! Beautiful. Snagging as wallpaper. Thanks! Oh wow! This is beyond beautiful! <3 Keep up the good work!